Activists, journalists’ organisations flay Kishorchandra Wangkhem’s arrest and detention for a video post critical of Chief Minister N Biren Singh. 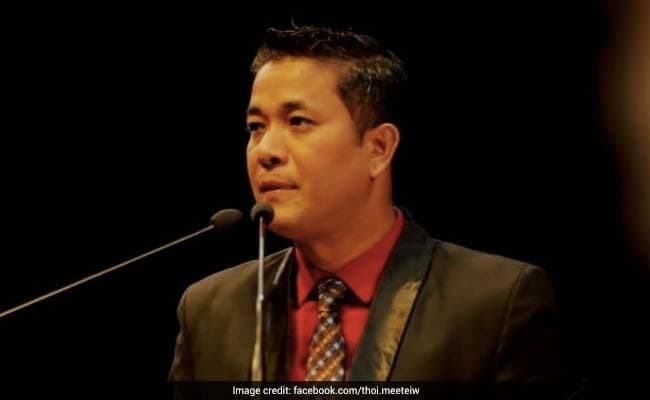 NEW DELHI: Wangkhem Kishorchandra, a journalist for Information Service Television Network (ISTV) in Manipur, was arrested on November 20, 2018, for posting a video recording in which he condemned the stance of Manipur Chief Minister Nongthombam Biren Singh for his speech on the Rani of Jhansi. He had questioned the Rani’s role in Manipur’s freedom struggle. On December 14, the state government approved the detention of former ISTV staff, Kishorchandra Wangkhem under National Security Act (NSA) passed by the district magistrate, Imphal West and fixed the period of detention for a period of one year from the date of detention. However, on November 27, the journalist was picked up from his residence by the police and detained under the draconian National Security Act (NSA). The District Magistrate of Imphal West issued the ground of detention under the Act to Wangkhem’s wife four days after his detention, whereas as per the Code of Criminal Procedure, the relatives or close friends of the accused have to be informed at the time arrest. "In consonance with the opinion expressed by the Advisory Board and in exercise of the powers conferred under Section 12(1) of the said Act, the Governor of Manipur is pleased to order that the detention of Kishorchandra Wangkhem... is hereby confirmed," the order from the office of Manipur governor Dr Najma Heptulla stated. Following the confirmation of his detention under NSA, many journalists organisations and activists have condemned the Manipur’s Biren Singh-led BJP Government for using a “draconian law” such as NSA to suppress critics. This is not the first time the Chief Minister has drawn criticism for resorting to extreme measures to deal with dissenting voices. Earlier this year, he was embroiled in the Manipur University Midnight-crackdown controversy in which 89 students and 9 teachers were arrested from the University’s campus. Support for Wangkhem poured in from Delhi, too. “To book individuals under non-bailable and harsh laws for using allegedly intemperate language to criticize government's decisions or individuals in government, is a measure of governmental overreach apart from being a violation of the fundamental right to free speech. We demand that the harsh provisions under which Mr Wangkhem has been booked be dropped in the interests of justice and the right to freedom of speech and expression” read a joint statement by Indian Women's Press Corps, Press Club of India, Press Association and Federation of Press Clubs in India. While these were some reactions towards Biren’s government, many activists also believe that this is the perfect example of what a law like the NSA can do. The National Security Act’s (NSA) preventive detention regime has become a convenient tool to obscure the flaws in the Indian criminal justice system and it deprives individuals of their constitutional and statutory rights. Preventive detention is the extra-judicial confinement of an individual without charge – for up to one year under the NSA – purportedly to prevent a potential future crime.